Mazda is recalling more than 307,000 cars because the parking brake may not fully release or could fail to hold the cars, increasing the risk of a crash. Poor welding in some Mazda vehicles has led to a recall. In one of two recent recalls, the manufacturer plans to address problems with a fuel pump. In some vehicles, heat and bad production can fracture one of the key pipes for the existing fuel system. Although this is a recent recall, with the first U.S. field report happening this year, the issue goes back some time. The production dates for the R-X-eight vehicles themselves fell between 2003 and 2008, and the preliminary investigation began in 2007. A total of sixty-nine thousand, four hundred and forty-seven vehicles are reportedly involved. Dealers can fix the issue by installing a new fuel pump filter kit, and Mazda has offered the improved version since 2008. Stay tuned for more recall updates. Washington, D.C. – June 22, 2017 – Mazda North American Operations has recalled more than 227,000 sedans with potentially corrosion-prone braking systems, according to documentation failed with the National Highway Transportation Safety Administration. The campaign affects 2014-2016 Mazda3 sedans manufactured between Jan. 6, 2014 and Sept. 2, 2016, as well as 2014-2015 Mazda6 sedans made between Oct. 25, 2012 and Dec. 1, 2014. The Japanese automaker does not know at this time what percentage of the vehicles named in the recall contain the defective parts. Affected vehicles might feature rear brake calipers that are improperly protected and sealed, and therefore are vulnerable to water damage. Moisture may be able to enter the calipers and degrade the brake actuator shaft. This phenomenon, paired with continuous use, can increase the diameter of the shaft and inhibit its operability. In some instances, the shaft could become lodged within the brake caliper assembly and reduce parking brake stopping power. This poses a serious hazard to drivers, as the brake could suddenly disengage and cause an accidental collision. In April 2015, Mazda received a field service report from the Canadian market detailing an instance of brake drag, according to the NHTSA. Engineers inspected the vehicle involved, a Mazda6 sedan, and discovered that the actuator shaft in the rear brake caliper had seized. The automaker assumed that high pressure spraying around the caliper was the cause and instituted a field monitoring initiative to look for similar occurrences. In August, Mazda received seven field reports from the U.S. referencing that same problem. The carmaker initiated an investigation. Three months later, the company identified the root cause: improperly protected and corrosion-coated brake calipers. In December, Mazda engineers reviewed the original specifications for the brake caliper protective boot and tested its corrosion mitigation capabilities. Within the two months, the carmaker had introduced new protective boots at the point of assembly. However, this production change did not apply to Mazda6 sedans produced after January 2014, as Mazda had switched from mechanical braking systems to electric alternatives with more effective corrosion protections. The carmaker issued a similar decision on Mazda3 models, which featured an improved actuator shaft design. Over the summer of 2016, Mazda received multiple collision reports from the German and U.K. markets for Mazda3 and Mazda6 models with corroded brake actuator shafts, including some that had rolled off of the assembly line after January 2014. In August, the company received an additional nine reports from dealers in the U.S. market and decided to take action. Throughout late 2016, the carmaker conducted an additional root cause investigation and worked on designs for new brake caliper protective boots. Mazda produced a boot replacement kit for the Mazda6 in January 2017. In February, the company introduced new manufacturing methods to address defective Mazda3 sedans. Three months later, it produced a boot replacement kit for this model. In May, the carmaker initiated a voluntary recall for both vehicles. Mazda will request dealers to survey the rear brake assemblies on vehicles named in the campaign and replace brake actuator shafts that show signs of corrosion, free of charge, according to the NHTSA. The carmaker plans to notify dealers Aug. 7, 2017 and contact vehicle owners Aug. 21, 2017. 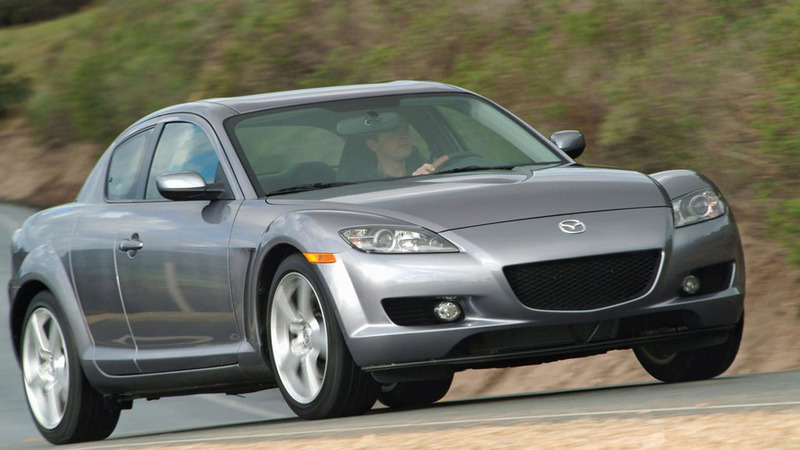 Mazda has issued two recalls for the RX-8 in the United States. The larger campaign affects 69,447 examples of the performance car from the 2004 through 2008 model years because of a problem with the fuel pump. The smaller issue covers 35,332 units of the vehicle from the 2004 model year because of a flaw with the ball joints. Washington, D.C. – June 1, 2017 – Mazda North American Operations has recalled more than 35,000 sports cars with defective ball joints. The campaign affects RX-8 sports cars manufactured between April 10, 2003 and May 7, 2004, according to documentation filed with the National Highway Transportation Safety Administration. The Japanese automaker is unsure what percentage of the vehicles named in the recall contain the damaged part. Affected models are equipped with ball joints that have been improperly caulked and can therefore damage the joint socket. This structural instability puts immense pressure on the suspension and can even cause the joint to separate from the socket in affected vehicles that are bearing abnormally large loads. Such an event drastically decreases driveability – a symptom of loss of steering control – and compromises occupant safety. In December 2005, Mazda received a field report from a dealer in the U.S. market mentioning the problem, according to a defect timeline filed with the NHTSA. While the automaker was unable to recover the failed part, it ultimately launched an official investigation to further explore the problem cited in the report. Quality assurance personnel closed the inquiry four months later without identifying the root cause. Mazda continued to monitor field reports to look for additional occurrences. In September 2007, the car maker received a report from the Japanese market in which the driver described losing steering power while racing. QA personnel started an official investigation. Engineers conducted tests between October and November of that year and determined that heavy loads were to blame in this instance of steering loss, after which Mazda resumed field monitoring. The company received two more reports from Japanese drivers between July and September of 2008, both of which detailed sudden steering failure during racing events. Engineers tested these vehicles and determined that the ball joints in both had fractured while the autos were supporting abnormally large loads. Mazda continued to monitor incoming field reports. The automaker received another field report during the summer of 2009. While the vehicle addressed in the complaint was not used for racing purposes, it did feature a performance suspension. Engineers determined that this fixture had nothing to do with the steering failure but noted it just the same. From October to December 2009, Mazda received two additional field reports pertaining to vehicles used in competition. Over the next two years, the number of field reports multiplied, most of which applied to RX-8s involved in racing events. Even so, the automaker did implement design changes in late 2012 to reduce the likelihood of steering loss. It also continued to investigate the problem and collect related field reports, eight of which materialized between 2013 and 2014. In the spring of 2015, another driver in the Japanese market reported that his race-ready RX-8 had suddenly lost its steering power, forcing Mazda to resume more focused investigative efforts. Then, in June, an owner with no experience on the track filed a field report mentioning the problem. QA personnel for the car maker further analyzed ball joint separation in this non-racing model and restarted monitoring efforts to pinpoint other instances in which overloaded RX-8s used exclusively for commuting suffered steering control loss due to ball joint separation. From July to December 2015, Mazda conducted further tests. In January 2016, engineers for the car company began considering the possibility that the defect was not the result of race-related stress but a symptom of faulty assembly processes. Two months later, QA personnel conducted detailed examinations of existing production workflows. Between April and August 2016, Mazda continued this work and started developing field screening procedures for RX-8s already on the road. Over the course of September and October, these plans were finalized. By April 2017, engineers at the car company were fairly certain the problem was related to defective parts. On May 29, 2017, Mazda officials decided to launch a voluntary recall campaign. The automotive organization will order dealers to replace the lower control arms in affected RX-8s with new assemblies containing properly caulked ball joint sockets, free of charge. Mazda plans to notify owners July 15, 2017 and owners July 30, 2017. Individuals in need of more immediate assistance are encouraged to contact Mazda customer service or the NHTSA. Japan’s Mazda Motor Corp said on Thursday it was recalling about 460,000 CX-5, Mazda3 and Mazda6 cars globally to fix multiple defects in their diesel engines, including a problem that could lead to engines stalling. The cars subject to the recalls were produced between February 13, 2012 and February 2 this year. No injury or fire has been reported from the defect, Mazda said. 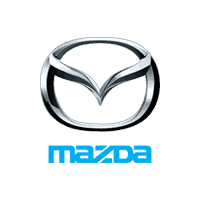 Washington, D.C. – Feb. 15, 2017 – Mazda Motor Corporation has announced that it will recall almost 174,000 vehicles due to faulty driver seats. The recall affects 2011 Mazda 2 subcompacts, along with Mazda 3 and Mazdaspeed 3 compacts produced in 2010 and 2011, according to documentation from the National Highway Traffic Safety Administration. Faulty seat height adjustment links lie at the heart of the problem. These fixtures are abnormally weak in the affected models and can loosen, or in some cases detach completely, causing the driver seat to recline dramatically. This increases the likelihood of an accident. Several Mazda owners have filed NHTSA complaints mentioning the issue. The earliest dates back to April 2012, when one Mazda 3 owner in Decatur, Alabama discovered that the adjustment rail on the front driver seat had snapped. Another Mazda 3 owner in Port Jefferson Station, New York filed a complaint earlier this month, telling the NHTSA that the adjustment link gave way suddenly during operation. The driver urged the agency to address the issue with Mazda. “The manufacturer should have a recall on this problem immediately before someone gets killed,” the complaint read. The NHTSA submitted the official recall Feb. 8 and contacted Mazda five days later. Mazda dealers have been instructed to evaluate affected vehicles, specifically the driver seat adjustment link. If this fixture is cracked, on-site personnel will replace it entirely with a modified part. Should the adjustment link show no damage, it will be reinforced with an additional bracket. Mazda has also advised dealers to install two extra push nuts per link in these cases. These repairs will be performed free of charge. The carmaker is expected to notify all dealers by March 15, while owners should receive confirmation by March 31. Mazda will recall 173,859 vehicles in the United States because the seats could suddenly move. 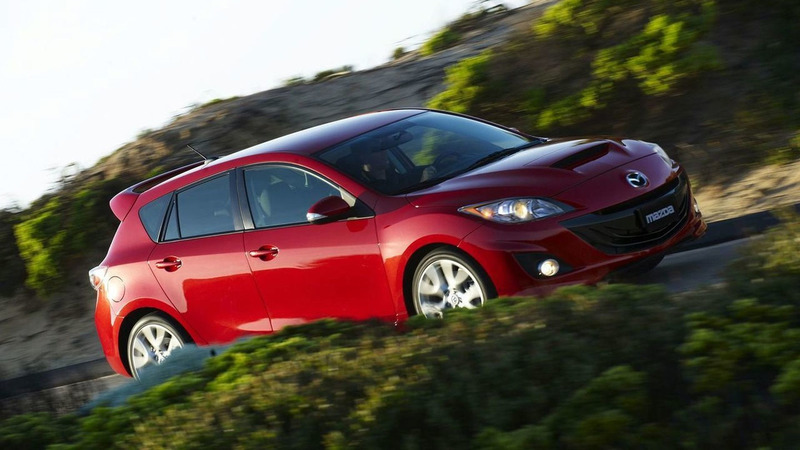 The campaign will affect the 2011 Mazda2, 2010-2011 Mazda3, and 2010-2011 Mazdaspeed3. According to the automaker, the seat lifter link can crack and push nuts can separate from the chair’s frame. Continual use during either condition could cause the part to break, and the seat angle would suddenly incline. “The driver may not be able to maintain an appropriate driving position,” according to Mazda’s report to the National Highway Traffic Safety Administration. Mazda North America Operations is recalling a total of 8,018 vehicles with airbag inflator issues. Additionally, unless included in “Zone B,” Mazda is recalling model year 2005-2006 MPV and 2005-2008 RX-8 vehicles originally sold, or ever registered in Alaska, Colorado, Connecticut, Idaho, Iowa, Maine, Massachusetts, Michigan, Minnesota, Montana, New Hampshire, New York, North Dakota, Oregon, Rhode Island, South Dakota, Utah, Vermont, Washington, Wisconsin and Wyoming.